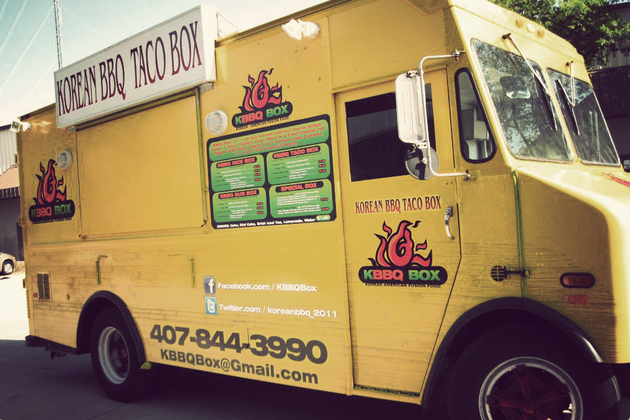 It might sound like an odd combination, but one meal at the Korean BBQ Taco Box will have you thinking differently. This bright yellow Central Florida food truck serves up a host of meat options like Bulgogi beef, spicy pork, and marinated chicken, any of which you can get on its own with rice, on a sub sandwich, or in a taco. Better yet, make your order a box, and enjoy some extra treats like spicy chicken wings and fried cheese rolls. And don't fret if you're not in the area — they just launched a second truck to serve Washington, DC. Eating good food means more than just eating tasty food — it means eating food that is fresh, nutritious, and, when possibly, locally and/or sustainably grown. The eats coming from Good Food are all of those, and they taste great, too. 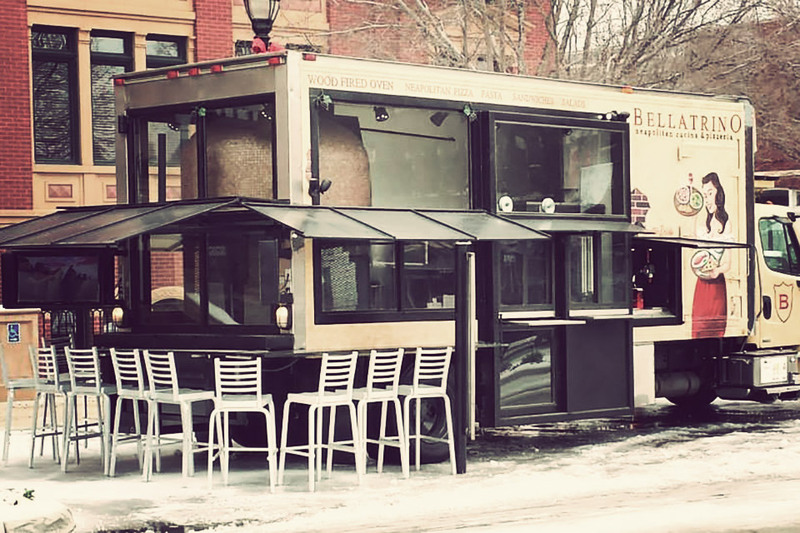 This fantastic food cart is open for lunch every weekday, and is known for its delicious soups, salads, and wraps, featuring ingredients like oven roasted chicken, baked tofu, fresh mixed greens, and various fruits and veggies. Feeling like a reward after fueling up? They serve fresh-baked cookies, too. 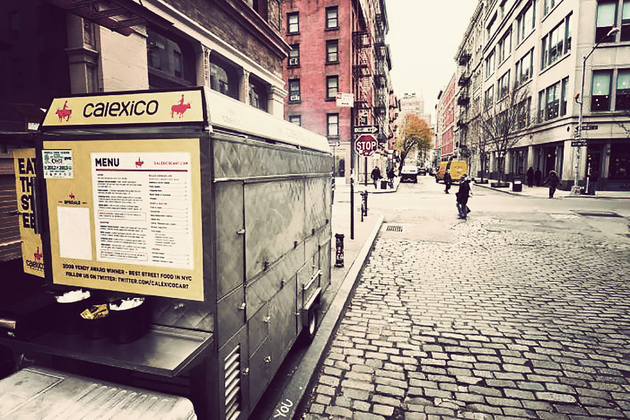 Okay, so it's more of a cart — or carts, actually — than a truck, but that doesn't make Calexico any less tasty. Named for the northern side of a border town between California and Mexico, this beloved cart serves up all the tacos, quesadillas, burritos, bowls, nachos, sandwiches, and enchiladas you'd expect, with a extra helping of their chipotle crack sauce if you want. Not feeling the food cart scene? Luckily for you, they've also opened up full-on restaurants in Greenpoint, Red Hook, the Barclays Center, and the Lower East Side, as well. Like it water brethren that announces its arrival with a telltale fin, the Food Shark typically isn't that hard to find. Part of that's due to its usual spot — under the pavilion between the railroad tracks and Marfa Book Co. — part of it's the silver hammered aluminum exterior of its 1974 Ford Brothers bread delivery truck, and part of that's due to the lines that inevitably form wherever it opens up shop. Serving up a constantly changing menu of Med-Tex (that's Mediterranean-Texan, a term we totally just made up) cuisine — be sure to try the Marfalafels — with flair, it's as much of a must-see as nearby El Cosmico. If you're jonesing for a sweet breakfast and happen to see a red trailer set up, your morning is about to improve. That's because Carpe Donut is likely there, serving up what you crave. 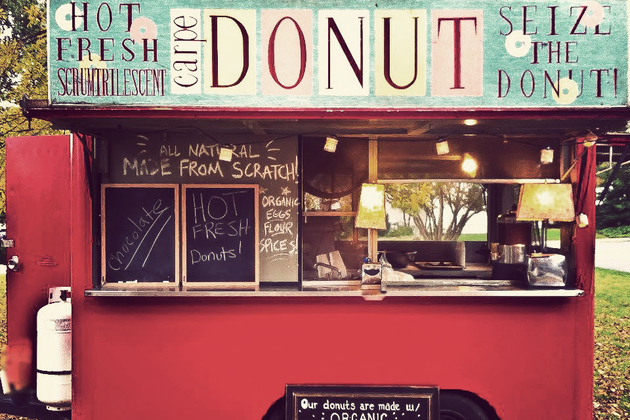 This charming food truck serves up delicious donuts made from organic flour, organic eggs, organic sugar, organic apple cider, organic spices, and non-aluminated baking powder, then fries them up in 100% pure soybean oil. If that weren't enough, they also offer organic coffee, Italian-style hot chocolate, fresh mulled hot cider, and heaping helpings of happiness. Oh, and NYC residents are in luck — they have a truck there, too. When it comes to food, the word "melt" usually means good things — as long as we're not talking about ice cream. Luckily, GourMelt doesn't serve ice cream. Instead, it cooks up the tastiest grilled cheese sandwiches in town, going beyond the traditional recipe to add toppings like fried eggs, apples, honey, peppers, onions, mushrooms, cream cheese, jalapeños, and, of course bacon — thankfully not all at the same time (unless you request it). 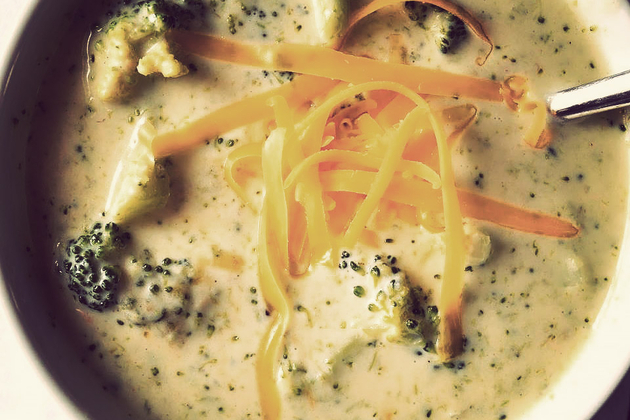 They also serve up house-made tomato soup, parmesan garlic fries (with basil aioli), pasta salad, and sweet melts like the insane Simply Sinful, which boasts nutella, peanut butter, marshmallow fluff, and banana. 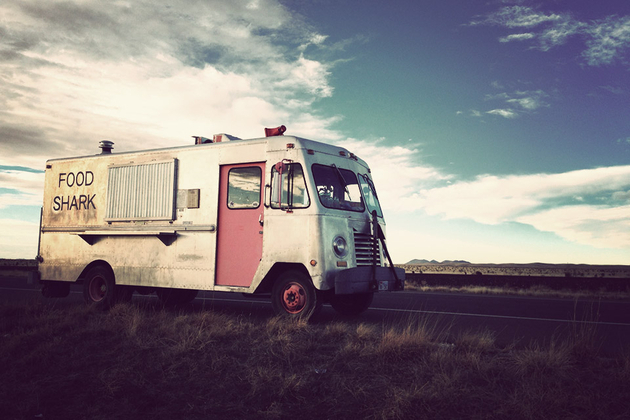 If Chipotle were to start a food truck, we imagine it'd be something along the lines of La Cocinita. 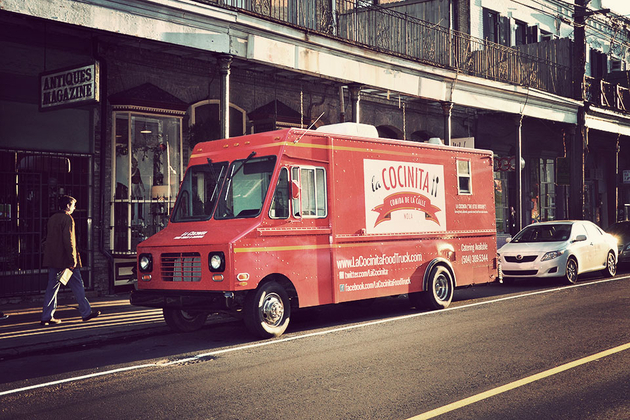 Ordering from this NOLA-based big red truck starts with picking a "vessel": either white cornmeal patties, white corn tacos, quesadillas, or a bowl. From there, you pick your protein from options like braised chicken or pork, steak, or roasted butternut squash and black beans, then a sauce, then any extras you'd like. Yes, you're in charge of creating your own meal, but we see that as a good thing — just like the Mexican Coke and horchata they sell to wash it all down. 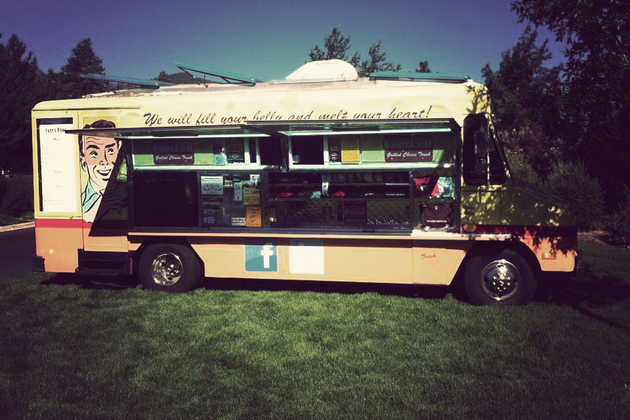 Who said all food trucks have to be based out of actual trucks? 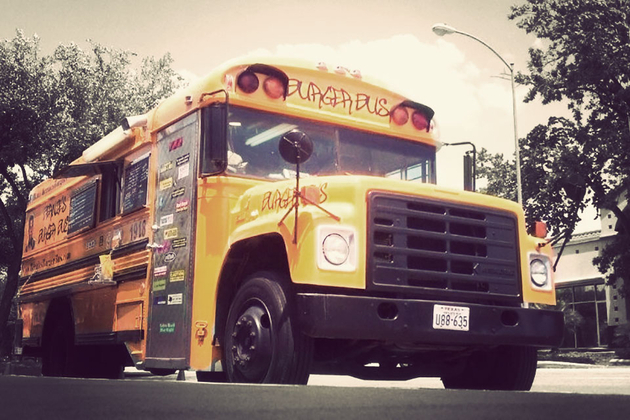 Bernie's Burger Bus expands the possibilities of the concept by serving up delicious burgers from the side of a converted school bus. The menu is filled with sandwiches sporting school-inspired names, like The Principal — a classic American burger — The Cheerleader — topped with pepper jack, crispy jalapeños, roasted tomatoes, and jalapeño ranch — and Recess — a TX cheddar grilled cheese on sourdough bread. In addition, the fries are hand-cut, and every burger is made with a custom Black Angus blend and topped with homemade condiments and fresh, locally-baked buns — making you feel a little better when you chow down on the calorie-rich, double-decker "Bully". 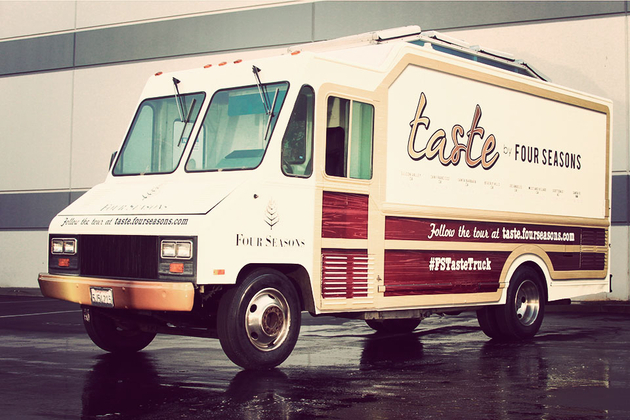 Unlike most of the food trucks we cover, which aim to stay in business as long as possible, the FS Taste Truck is intentionally cutting its tour short. And what does the "FS" stand for you, might ask? The Four Seasons — this renowned chain of high-end hotels and resorts is sending the truck out and about this fall in West Coast neighborhoods where it has hotels, starting this week in Palo Alto, CA and ending in Santa Fe, NM on November 10, with stops planned for San Francisco, Santa Barbara, Beverly Hills, Los Angeles, Westlake Village, and Scottsdale in the weeks in between. At each stop, the menu will change to reflect signature dishes from that area's Four Seasons outpost, meaning that for a week at a time, where ever it may be, it will likely be the best food truck in town. 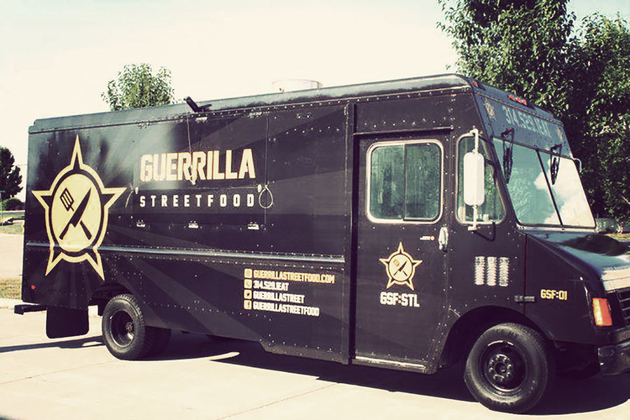 Unlike the countless taco, burger, and grilled cheese trucks, Guerrilla Street Food is serving up something unexpected: Filipino cuisine from a black truck based in the Gateway to the West. While the menu regularly changes with specials rotating in and out, you can nearly always count on the signature Flying Pig — slow-roasted pork asado, chilis, calamansi, and sriracha, served over rice and topped with a sous vide egg. Wash it down with a Pineapple soda, Hibiscus iced tea, or make a run to the local import shop for an ice cold San Miguel. The choice is yours. Unfortunately, there isn't an actual rickshaw involved in the operation of the Rickshaw Stop. But that's about the only disappointment you'll find in this Alamotown food truck. 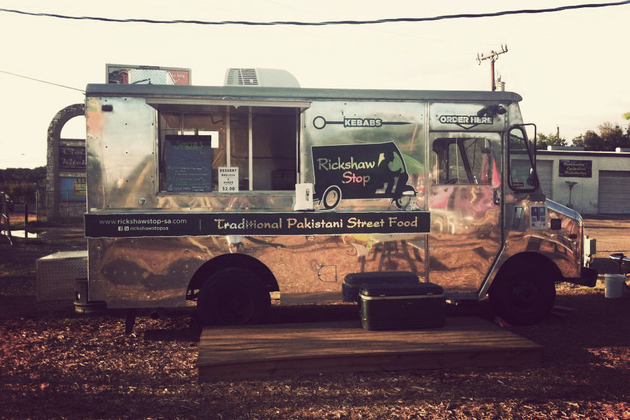 Family owned and operated, this shiny silver vehicle serves up 100% Halal, traditional Pakistani street food. Both the beef and chicken used in their kebabs is marinated for at least 48 hours, and are joined on the menu by beef, chicken, and veggie samosas, as well as baklava and kheer. Just be sure to show up early — the lines for this delicious street cuisine grow long, quickly.